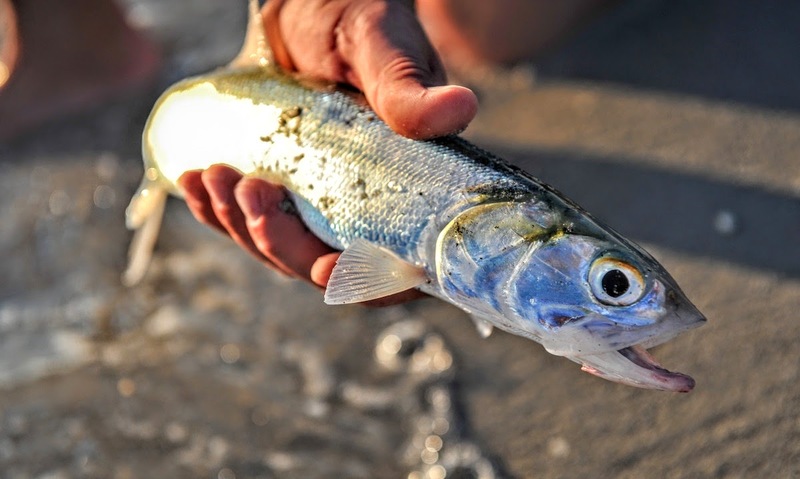 Beauty and fishing opportunities abound on Florida's Captiva Island. My grandfather on my mother’s side—who introduced me to fishing—had plenty of reasons to be angry. He lost both his parents to the flu epidemic of 1918 when he was young and was raised by various relatives. He worked hard to become an accountant and his practice barely survived the Great Depression—often he accepted payment from struggling clients in the form of baked goods, pieces of heirloom furniture, and IOUs. His first wife also died of illness, leaving him with a young son, who later came back from World War II traumatized and unable to keep a job. His second daughter in his second marriage suffered from severe chronic illness. But he was raised in the South and true Southern Gentlemen were stoic and reserved, so only twice did I see him in high dudgeon. The first time I was maybe four years old and, sitting on his lap while he read a children’s book to me, I had the impertinence to ask him how old he was. He snapped the book shut, got up and walked rigidly away. Age was a sensitive subject then (heck, I guess it still is) and no properly raised child should ever make such an inquiry of an adult. My mother was mortified. The second time also involved my mother. We were visiting my grandparents at their home on Captiva Island, on Florida’s Gulf Coast, where they had retired. One evening word came to their modest house that something strange and marvelous was happening at the end of the island: pilot whales were beaching themselves. Island residents and authorities were trying to get them back into the water. My grandfather mobilized quickly to join them. My mother, a woman of strong spirit and curiosity, wanted to go with him. But my grandfather, apparently fearing for her safety, bade her remain at the house. With me in tow, my mother drove a second car to the scene anyway. My grandfather was…displeased. I can still remember the whistles and gurgles of the small whales as they floundered in the shorebreak. On the other hand, I never saw my grandfather even remotely annoyed while fishing with me and my brother, even though our horseplay and limited attention span surely gave him ample cause for irritation. It was as though fishing were a sanctuary, where none of life’s hardships could touch him. Even with a couple of rambunctious grandkids in the boat. It is hard to be angry—or at least stay angry—while fishing. Being in or on the water is more likely to induce joy, fear, and mystery, sometimes all at once, than aggravation. It tends to soothe rather than frazzle the nerves. Unless, perhaps, if you are combat-fishing for steelhead at the peak of the run as the river drops and clears. My grandfather didn’t fish for steelhead, which was just as well. He would have held in very low regard the behavior of many anglers in such conditions. 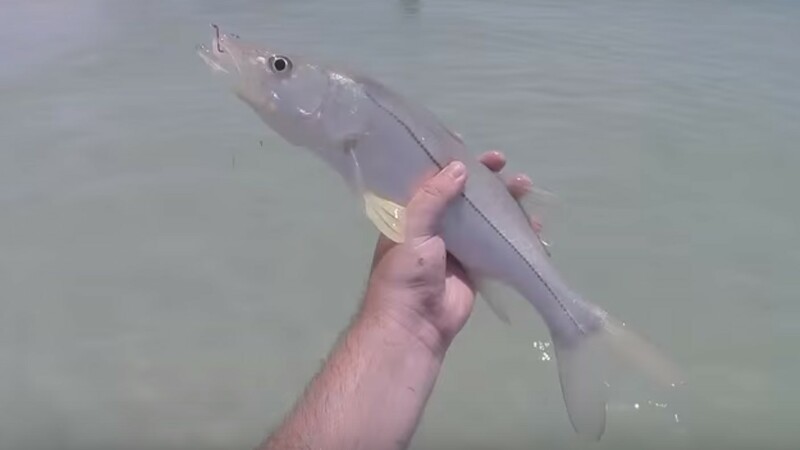 The object of our affection, a Captiva Island snook. Without his ever saying so outright, my grandfather taught us that one of the principal things you were trying to catch while fishing was a soothing of the edges of the spirit where they had been frayed by the rest of your life. Perhaps that’s why the work that Trout Unlimited does with veterans, cancer survivors and other folks who’ve been through real adversity is especially meaningful for me. My grandfather’s instruction in the high art and science of fishing included the axiom—again unspoken—that elements of the activity which tend to generate the most enthusiasm, and exaggeration, among anglers are less important. For example, The Mystical Grab. Anglers naturally focus on the grab. Especially when you’re starting out, you’re concentrating on the point where your line vanishes into the depths and waiting, waiting, waiting for that electric jolt. It’s the most obvious payoff and it never gets old. But my grandfather seemed not to care about the grab at all. In fact, that’s what I remember most clearly about fishing with him: his faraway gaze when our lines were in the water, whether casting from the beach or drifting in his boat. Until the grab came, his gaze re-set, and his powerful right arm, elbow locked to his waist, raised the rod tip and set the hook. My grandfather wasn’t an avid fly fisherman. Or perhaps he just thought that newbies like my brother and me were more likely to catch the Fishing Jones if we started with bait. We caught the Fishing Jones all right, along with all kinds of fish, mostly using frozen shrimp halves or sand crabs scooped out of the froth as waves receded off the beach. Grouper, sea trout, ladyfish, Spanish mackerel, jack crevales that pulled like charging cavalry. The trout and grouper we ate with relish. My brother and I loved watching my grandfather clean and fillet them for dinner. But snook were the great prize for my grandfather, and the best eating. So we were always fishing for them. Over the several summers we fished with my grandfather, I never caught one. The hope that my performance in that regard was not too disappointing for him is still with me. Sam Davidson is TU's Communications Director for California and Oregon. He still hasn't caught a snook off of Captiva Island.